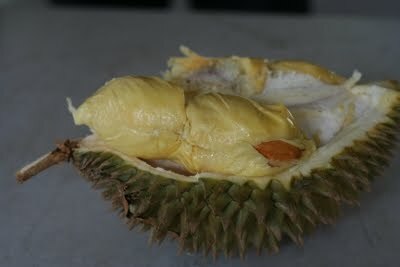 We went to the fruit farm on the Balik Pulau side of the hill to have durians. 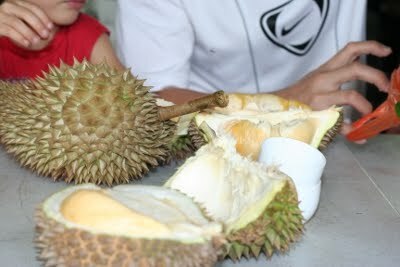 With Lynn's friends, we were 9 of us and had more than 10 different types of durians. When Jason and his mum entred the farm, those who were sitting at a table stared at them and started to say something in Chinese. They were surprised to see westerners coming to try durians. We all prefer rather sweet and creamy types of durians than the ones with a bit bitter taste. They were all just picked up and freshly cut and I had too much. 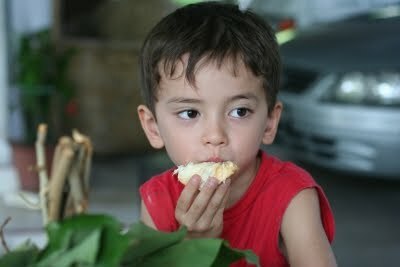 Takara preferred rambutans but Arata loved durians. He couldn't stop and kept eating. He said, "The one I ate last week wasn't this good, it was a bit bitter. But they are all so tasty today!" 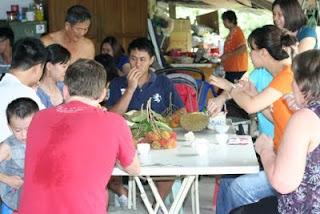 A pomelo, which was also just picked, was also served and with a pot of Chinese tea, we paid only 15RM per head. It was such an authentic experience. 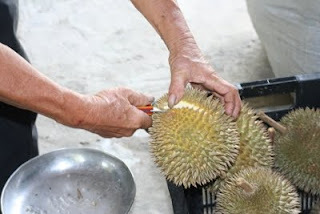 To most Msian, it is very interesting and people will go "WOW" to see foreigners eat durian and laksa :) hahaha bcs these two always make foreigners pinch nose and run.